You can now save the changes by using one of the options in the File menu, or the buttons on the toolbar. If you forget to save the changes, you will be prompted to do so when you close the application. Note: Step 3 above is only necessary when you first design your Layout. Once you click OK, the Layout is saved and it can be used for other QSLs in the future. When a QSO is selected in the log, this chart shows what modes and in what bands have been worked and/or confirmed for that particular DXCC entity. 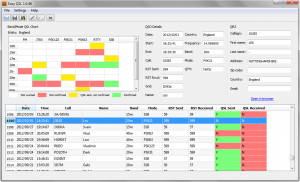 Additional QSO information is displayed in this section. These fields are read-only. 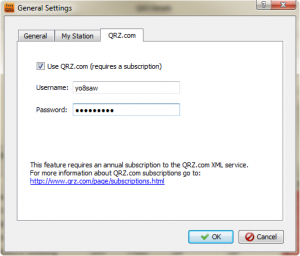 For the selected QSO, the QRZ.com information is displayed here. These fields are read-only. 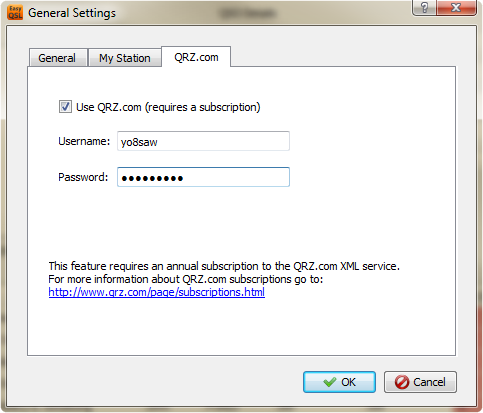 Note: this feature uses the QRZ.com authentication data provided in the General Settings dialog (see below). 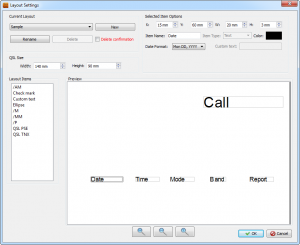 You can use the General Settings dialog to change basic functionality of Easy QSL. Choose whether to automatically check if a new version of Easy QSL is available, and whether to make a backup copy of the log file before saving it. The backup copies will be in the user’s Documents directory. For example, on Windows 7, if the username is “bogdan”, the backup files destination will be C:\Users\bogdan\Documents\Easy QSL (assuming that Windows is installed on C:, of course). Information about the logging station can be set here. 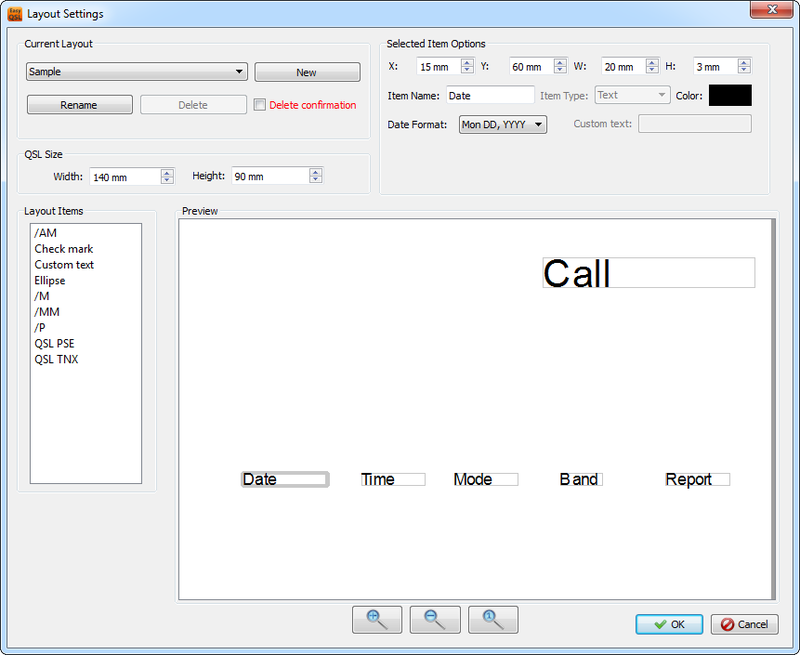 For example, if the logging station has made some QSOs from a portable location, but the log does not contain the logging station’s callsign, you can set the callsign, including the /P suffix in this window. When printing the QSLs, the application will try to extract the suffix from the logging station’s callsign in the ADIF file. If it finds no callsign, it falls back to using the value set in this window. If the current Layout contains a /P item (it can be either a check mark, or an ellipse), that item will be printed on the QSL card. 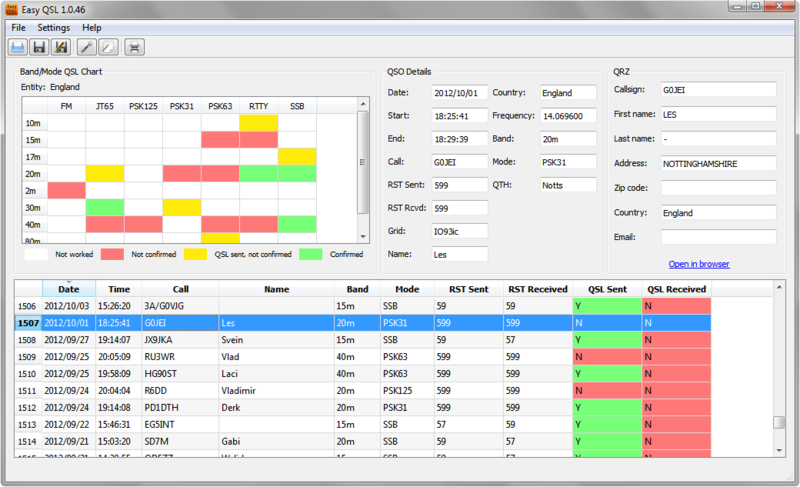 If you want, you can use QRZ.com to get additional information about the callsign in the selected QSO. That requires a subscription to the QRZ.com XML service. Fill in your username and password and click OK. This is where you set what you want to appear on the QSL card after printing. You can drag the items you want to use from the left-side list onto the preview. The position for each item can be set by dragging it or by clicking on it and setting the X and Y coordinates above the preview. 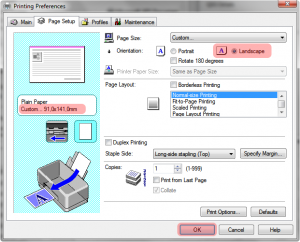 The other options (size, color, format) can be set by clicking on the item and using the controls above the preview. Note: the rectangles surrounding each item will not actually be printed on the card. They are only displayed on the preview, to aid in setting the proper size for the items. The position, size and color can be set for all types of items. Some types, however, have additional settings. For instance, QSL PSE and QSL TNX can be set to appear as either a check mark, or an ellipse, depending on the way your QSL card is designed. The Date and Time have selectable formats (for example: YYYY/MM/DD, YYYY-MM-DD, DD/MM/YYYY, Mon DD, YYYY, HH:MM, HH:MM:SS etc.). Not all items will be printed on every card. Some of them, such as the suffixes /P, /M, /AM, /MM, will only be printed if the callsign of the logging station ends with the respective suffix. Also, QSL PSE will only be printed if a QSL card has not been received for a given QSO. The reverse is true for QSL TNX. At this point, you should already have your Layout configured. 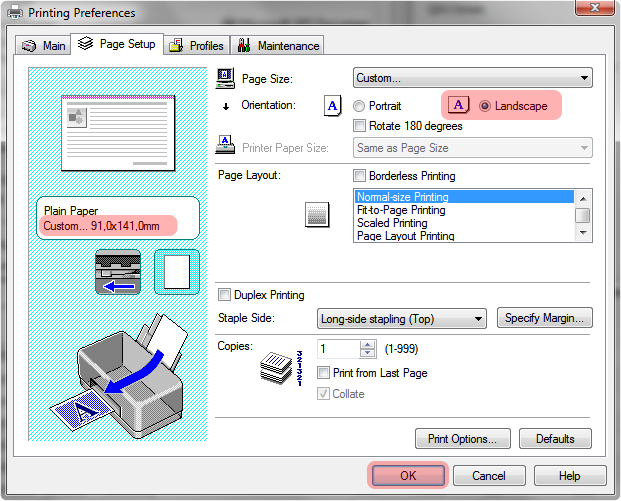 If not, see Layout Settings above. 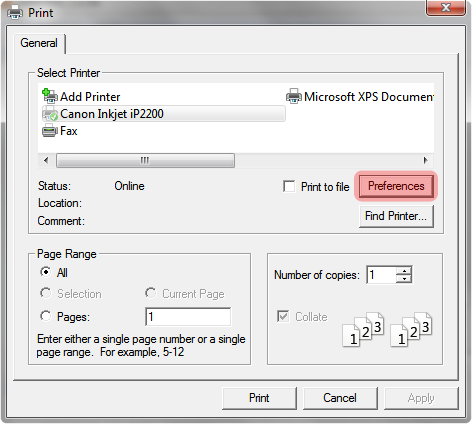 Click Print, and you’re done.